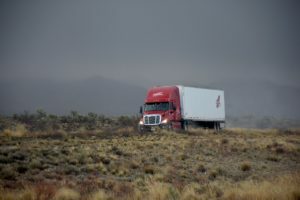 While some may complain that truck freight levels haven’t taken off like a rocket since the end of the Great Recession, the fact is they have posted solid improvements, according to Jonathan Starks of the freight forecasting firm FTR. Starks was speaking Tuesday during the company’s “Virtual Conference” webinar. There he discussed where freight levels, their positions and the economic factors behind them. That means the industry may hit a new peak in freight levels next year after hitting one in 2006. 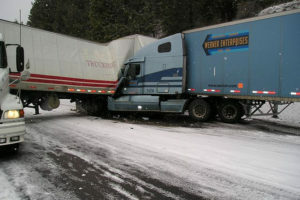 The reason for such optimism is that many of the same macroeconomic factors that helped freight recover the past few years are expected to continue – what Starks referred to as “freight-conomics.” More specifically, this means taking a look at the nation’s goods-producing sector, such as taking the U.S. gross domestic product and slicing out all of the non-goods producing areas and services. It also includes looking at industrial production, keeping in manufacturing, but removing activity at mines and utilities. Starks explained that while manufacturing numbers typically swing from month to month, since 2010, overall such activity continues growing very steadily and has been reasonably strong throughout this economic recovery. “Recently, it has had a few down months. But those numbers are still well within the natural range it’s been operating in. The first quarter is going to look a little bit weak, but we expect that to rebound very quickly,” he said.